While a bit time consuming, it was relatively easy for me to get the digimon I wanted in Digimon Story: Cyber Sleuth. In the new game, Digimon World: Next 0rder, it’s a whole lot more complicated. Like, “get your spreadsheets ready” complicated. Back in the early 2000s, I was enough into Digimon that I watched (and greatly enjoyed) every episode of the first two seasons. 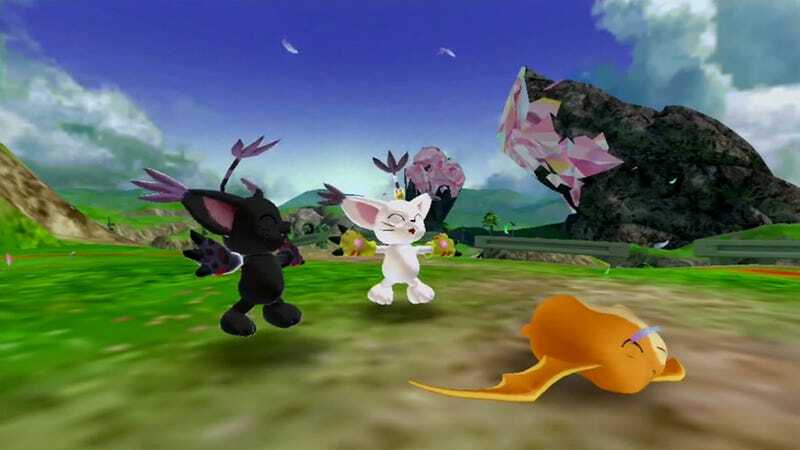 So it’s no surprise that at one point, I rented the first Digimon World on the original PlayStation from Blockbuster, eagerly hoping to breed my own WarGreymon in my five days of rental time. I remember getting as far as Agumon before giving up. That should have been a sign for what I was in for. In the decade plus since then, I hadn’t played a Digimon game until last year’s Digimon Story: Cyber Sleuth. A typical turn-based RPG, I had little trouble getting the nostalgia-filled Digimon dream team I longed for. Sure, I had to evolve and devolve countless times to unlock the exact evolutionary path I wanted, but when it came down to it, I found the system to be simple. Once a digimon’s stats are above a given threshold, you simply choose which of its possible evolutions you want as you digivolve them. The evolution process found in Digimon World: Next 0rder is far more complicated. To start with, you don’t get to directly choose the evolutionary path your digimon follows. Twelve stats factor into how your digimon evolves: HP, MP, attack, defense, speed, knowledge, weight, rearing mistakes, bond with your character, personality, number of battles won, and previous evolutionary forms. To get the evolution you want, you need to have certain stats above certain thresholds while keeping other stats below other thresholds. Let’s check out a simple concrete example. As it was in Cyber Sleuth, my plan in Next 0rder was to get a LadyDevimon. The basic evolutionary path I was aiming for this time around was DemiDevimon to BlackGatomon to LadyDevimon. Luckily, DemiDevimon has only two possible evolutions: Devimon and BlackGatomon. To evolve into BlackGatomon, there are six key stats: MP over 750, knowledge over 100, speed over 100, weight under 14, 1 rearing mistake, and a negative personality. Of those six, I only need to meet four to qualify for evolution. So logically, as long as I meet these quotas, I’d get BlackGatomon for sure, right? Wrong. While not immediately apparent, there is a priority order for digivolutions. If a DemiDevimon can potentially become a BlackGatomon or a Devimon as it evolves—i.e., the requisite number of stat quotas for both are met—it will always become a Devimon. In other words, to get a BlackGatomon, you have to meet four of its stat quotas while purposely not meeting five of Devimon’s quotas. And while this may seem easy at first, keep in mind that many digimon have five possible evolutions whose quotas you’ll need to balance as you raise your digimon. Moreover, it’s common for several different evolutions to share stat quotas at slightly different values. And as many stats can only be raised, even a few random battles, a bad food choice, or mistake during training can wreck your whole evolutionary plan. There is one more major hiccup in getting the digimon you want: You don’t choose when a digimon evolves. Rather there is a set schedule. The first two evolutions will likely happen in a digimon’s first day of life. The following evolutions occur at four days, seven days, eleven days, and fourteen days respectively. A champion digimon will then die at around day 15 without any upgrades. So not only do you have to get your digimon’s stats balanced correctly, you have to do it within a time limit. In the face of such complexity, there’s only one possible recourse: spreadsheets. Those above are the ones I found on a Japanese wiki and altered to suit my purposes. They are filled with not only stat threshold information but notes about my own digimons’ stats as they progressed on the road to LadyDevimon and Angewomon respectively. After four game restarts (two due to corrupted data on my aging Vita memory card and two due to evolution mess ups), I finally got the angelic/demonic pair I wished for. Unfortunately, that was not the end of my troubles. To prevent them from evolving again (as I wanted to merge them into Mastemon which can’t be done until near the end of the game), I went back to my spreadsheets, trying to figure out how to get their stats as high as possible without meeting the quotas for any possible evolution. Unfortunately, they died when day 15 rolled around, turning back into eggs long before I had any hope of merging them. Moreover, upon rebirth, the base stats for my digimon were far higher than before, making it much harder to evolve them properly. I blew three hours last night trying alternate evolutionary paths for my angelic/demonic pair. So far no luck. Now my only hope lies in recruiting Leomon who has the ability to block off any evolutionary paths but the one you want. Sadly, recruiting him is still hours away. …Maybe I should just give up and go for MetalGarurumon and WarGreymon for this cycle instead. Digimon World: Next 0rder was released in Japan for the PlayStation Vita on March 17, 2016. There is currently no word on a Western release.